Today I realized this is not a renovation – it’s an art project. My wife has always called this the “hobby house”, but I realized this week it’s really an art project. Take for example this picture. 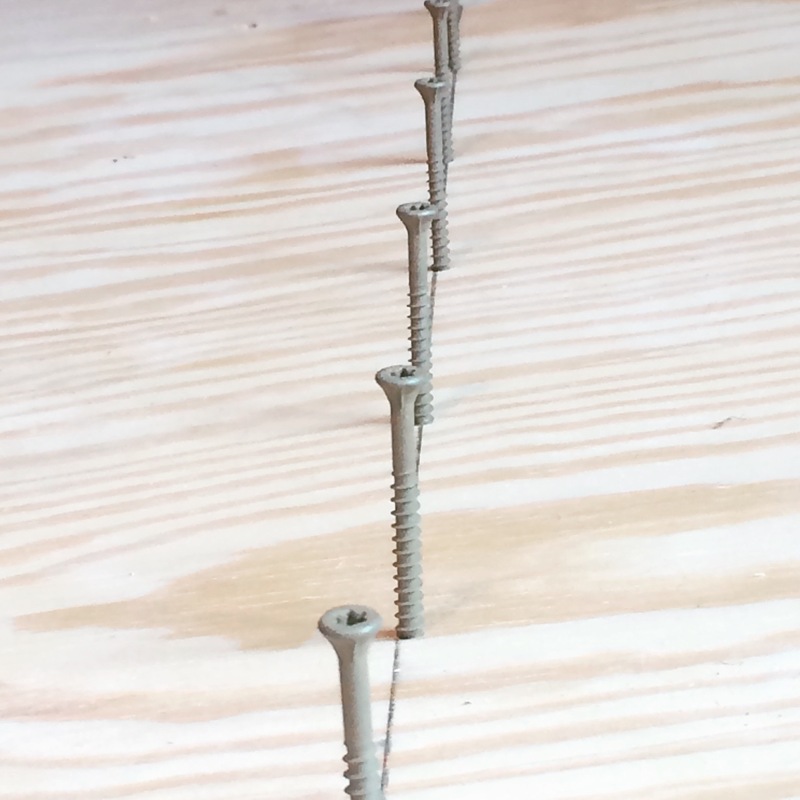 These are deck screws that are used to fasten a 1/2″ plywood overlay on the original floors. I Took a look at all of the first floor, which is done the same way and they’re all lined up too. When will I learn the color outside of the lines?